In many cities, economic and environmental sustainability is the purview of a single department, be it Parks and Recreation, Planning or, if the city is fortunate and funded enough to have one, a standalone Sustainability Office. Often, the concepts of sustainability stay cloistered away in this single department while the others carry on with business as usual. The City of Fort Collins is doing things differently. 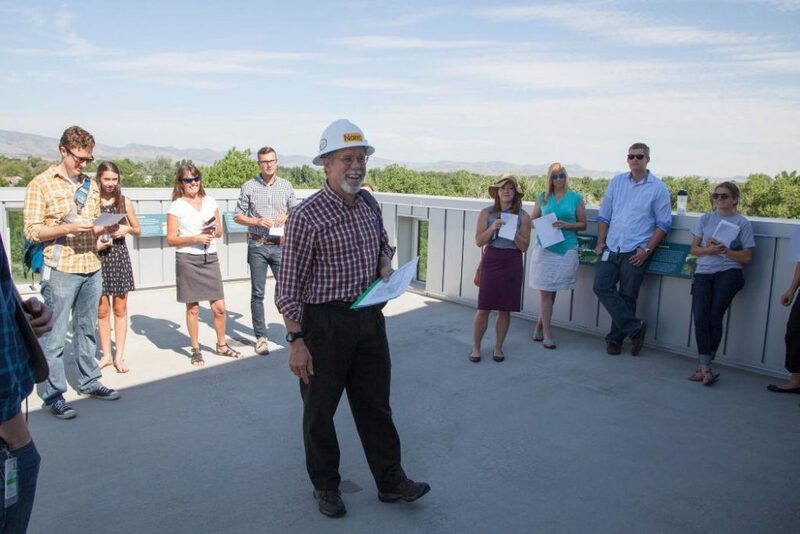 With its One Planet Program, the City uses cross-departmental “tours” to showcase sustainability projects and programming occurring in all areas of City government. 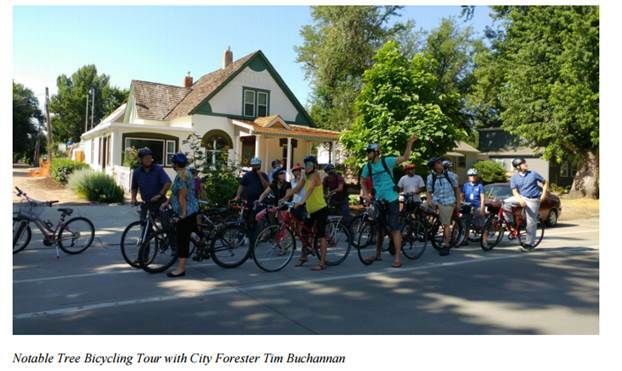 Through what has, since the program’s inception in 2010, grown from about 15 to more than 90 employee-led sustainability tours (see 2016 tour list below), city staff come together in a fun, informational setting to learn about everything from how the recycling and wastewater facilities work to discovering old trees on a biking tour and scouting out “hidden” solar in the community. “Prior to this program, an employee could work 20 or 30 years and never shake hands with someone from another department,” says Michelle Finchum, Community Engagement Specialist with the City of Fort Collins, and the one who spear-headed the initiative from the outset. Now, a lot of hand-shaking takes place via One Planet, with 304 employees participating in the program in 2016 alone. 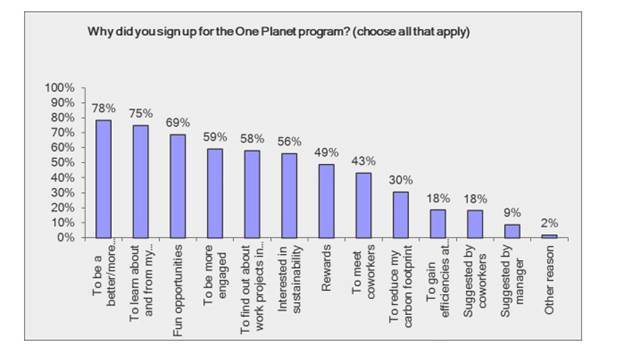 How Did the One Planet Program Get Its Start? Fort Collins is a municipally owned utility. When One Planet got its start in 2010, the Utilities’ employees were the initial participants. 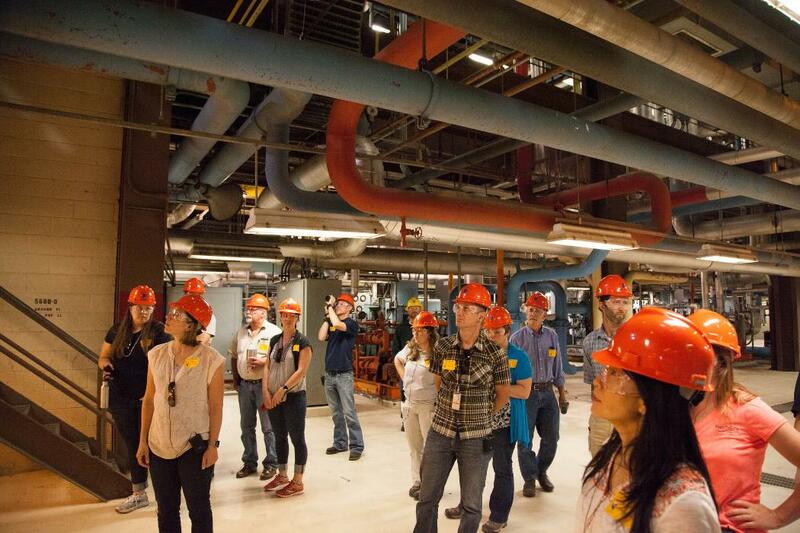 Finchum recalls going to a plant operator and asking, “can a bunch of people come and tour your place for an hour or so and see what you do?” This approach worked to set up 15 sustainability tours that first year for Utilities staff. After a while, however, word caught on and other departments took note of the buzz in Utilities surrounding One Planet. Finchum recalls that a new Utilities Director came on board and had the philosophy that “We are no longer a utility that simply provides water and electricity. We are going to move into the 21st Century. I want to know what our impact is. I want to learn how to be sustainable.” The Director assigned teams to tackle this ambitious reform. Fast forward to 2012: Additional departments, including Environmental Services and Parks, decided that Utilities should not be enjoying all the fun. This was the advent of a Sustainability Services Department, a department that incorporates social sustainability, economic health, and the environmental services departments. All work toward this new framework to modernize for the 21st Century while striving to break down some of the silos. Employees from 21 different departments joined the One Planet tours in 2016. They came from departments such as City Manager, Communications and Public Information Office, IT, Operations Services, Planning Development and Transportation, Economic Health, Engineering, FC Moves, Financial Administration, Recreation, Safety, Streets and Transport. The One Planet as it is known today is just getting started. One Planet has a goal to have 60 percent of Utilities employees participating during a given year, and this goal has been reached several years in a row. Since the program expanded to other departments, about 100 non-Utilities employees have joined in. To market the program, Finchum meets with a Department Manager to sit down and pitch the program. She also makes use of the City’s internal intranet, City office spaces, and the City newsletter to solicit new participants. “Last year, we went to the Natural Areas Department and got them involved. They showed a very high participation rate. We now know when we actively solicit another department, the participation can be high,” Finchum says. The program operates in five steps: Part 1 is to engage across departments to introduce the program to managers. Part 2: Set a personal sustainability goal. Part 3: participants sign up for three tours. Part 4: Post-tour survey. And Part 5: Reward. Participants must complete the steps in order to get the incentive reward — $100 downtown gift cards the first year and then ratcheted down to $30 in subsequent years. In this way, the program relies on the sociological concept of Community-Based Social Market, whereby you can use certain incentives (such as gift cards or prizes) to get participants into a program you want them to do, such as sustainability. At that point, they can become “hooked” and engage with the program objectives independent of the incentive — it transitions to the love of learning. Following the success of the One Planet Program, Finchum created a splinter program within One Planet specifically focused on Climate. A professor was brought in to communicate Climate Action Planning principles to a special cohort of interested City employees. The CAP track was piloted in 2016 with 50 participants, with about half of that cohort completing 3 additional levels, such as mini action-oriented office challnges. This CAP program will continue in the coming years. What Does a Tour Look Like? To start, Finchum and her Ambassadors sat down and listed out all the tour possibilities and then prioritized what would work for the coming year. Ambassadors contacted potential tour sites to request a tour and coordinate the logistics. When on site, Amabassadors manage the sign-in sheets and maintain the bank of photos that come out of the tours. Each tour requires about 1-4 hours. Upon arrival, participants introduces themselves and their departments. Then, project managers at the site will walk the group trough the tour’s objective — what are we trying to learn here and how is it important to the City. “No power points allowed!” says Finchum, who encourages active learning in all parts of the program. One Planet seeks to keep participants active by designing all events as walking and sometimes biking tours — people will not be standing in one place for long. Carpooling, biking and walking are encouraged to arrive at the tour sites, if at all possible. Getting people on their feet, moving and mingling, creates cross-departmental connections in addition to shared learning. Data is primarily collected during a series of surveys administered to participants via the database before, during and after the program tours. As a result of the surveys and goals, Finchum’s team is able to calculate water and energy savings. That’s one data point. A second data point comes in after the participant completes each tour — a screen pops up on the database asking what the participant learned. For instance, after participants toured the municipal wastewater treatment plant, information was collected for what people learned during their visit. For example, “we found that everyone now knows that you can’t put fruit and vegetable stickers down the garbage disposal,” Finchum says. This level of data allows the plant to know what people perceive about their facility. Since then, the funding model has evolved: Finchum’s team is now asking that each department pitch in money to fund One Planet knowing that their own employees can gain from the experiential learning. Additionally, in 2016, Finchum asked for Climate Action Plan money to develop the Climate Action Plan track of One Planet. One Planet is seeking to grow internally for a few more years and then open the tours up to community members. The evolution of the model in this way would provide a platform for City staff to be able to talk to community members. Finchum foresees staring the City-citizen model with very concentrated groups. For example, she is at work on an advisory committee comprised completely of citizens for the Climate Action Plan cohort and set up the tours for those groups. The City of Fort Collins is calling for a greenhouse gas reduction target of 80% by 2020 and to be carbon neutral by 2050. “Let’s combine these goals with our One Planet goals and get the Committee to go on the tours to learn climate actions,” Finchum says. For now, Finchum’s team of Ambassadors do not have too much time to sit and simply enjoy their success as the program has become a huge success with multiple growth opportunities to engage City staff with each other and with their community members. In this way, One Planet may have started as a sustainability initiative but has grown into a larger platform for citizen-City collaboration and engagement. Water Treatment Plant — probably don’t think of a water plant as managing lands but they own thousands of acres of land. They partnered with natural areas dept and stopped mowing, using chemicals. Meadow Springs Ranch — location for solid waste that is spread after water treatment plant. Have reintroduced black footed ferrets on the ranch. This entry was posted in CityTalk USA, Uncategorized and tagged Colorado, Fort Collins, member success, sustainability planning. Bookmark the permalink.